This is a hotel with a history dating back to the fifth century. Unknown to me, there was one delightful surprise in the grounds of the Dromoland estate, just waiting to be discovered. The hotel is everything that you would expect from a luxury historic hotel; with the Who´s Who of past guests, including former President George W Bush, who according to Wikipedia, was guarded by approximately 7,000 police, military and private security forces during his 16-hour visit for the US-EU summit held at the venue on 26 June 2004. Other illustrious guests include Bill Clinton, King Juan Carlos I of Spain, Nelson Mandela, Muhammad Ali, Richard Branson, Jack Nicholson, Johnny Cash, Michael Flatley, Bono and The Beatles. 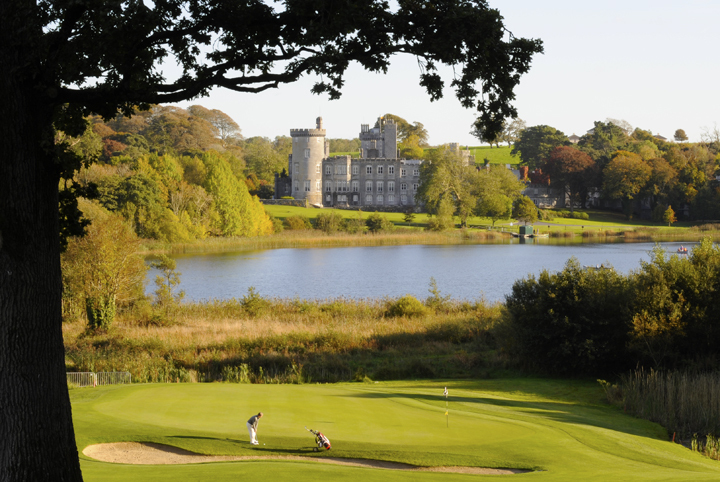 Dromoland Castle is situated near Newmarket-on-Fergus, County Clare, and was the ancestral home of the Dromoland O’Briens, who are direct descendants of Brian Boroimhe (also known as Brian Boru), the only High King of Ireland, in the tenth century. This historic hotel has number of features which mark it out as special: a It has a breathtaking location, legendary stories, the ghost, the fires that destroyed stained glass windows, the high tea, their famous table nine (if only that table could talk), the falcons and the archery, a golf course. Plus a very hands-on charming GM, Mark Nolan, who has dedicated 25 years of his life to Dromoland. More than enough to tick all the boxes of any history and luxury travel-loving guest. I could not resist photographing the afternoon tea, served at table nine of course. We had a elaborate corner suite in the castle, with huge sash windows and a chandelier over the bed; it was the former Presidential Suite and the room that George Harrison stayed in when the Beatles visited Ireland in 1963. The Beatles arrived in style, but their exit was not so graceful, as they had to be smuggled out of the hotel in laundry baskets to avoid the crowds of fever-pitch fans. The five-star hotel is magnificent, but there is one thing that even surpasses its majesty, and that is the 275-year-old walled gardens. 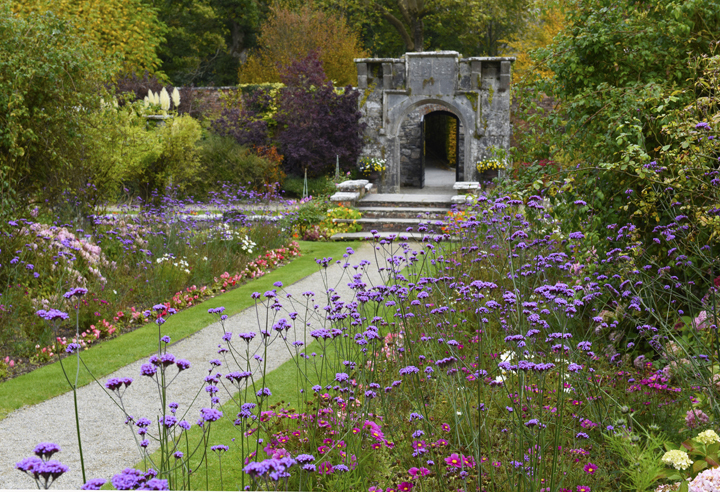 At the time of writing Dromoland hotel wasn’t making a big song and dance about the gardens – I only found out by spotted them on a plan of the extensive grounds given to me at check-in. I found myself walking along a long arched tunnel of autumn foliage, prizing open a heavy wooden door into a porch, to my left I saw a stone-framed open window, with burnished hues worthy of a painting. 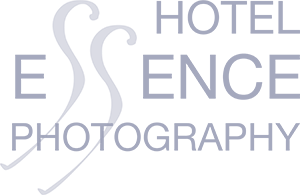 Historic Hotel photography is an holistic affair, my aim is to really capture the essence of the whole establishment, highlighting the hotel´s most attractive assets, there before me, in the gardens, I saw a whole host of scenes perfect visual story-telling. 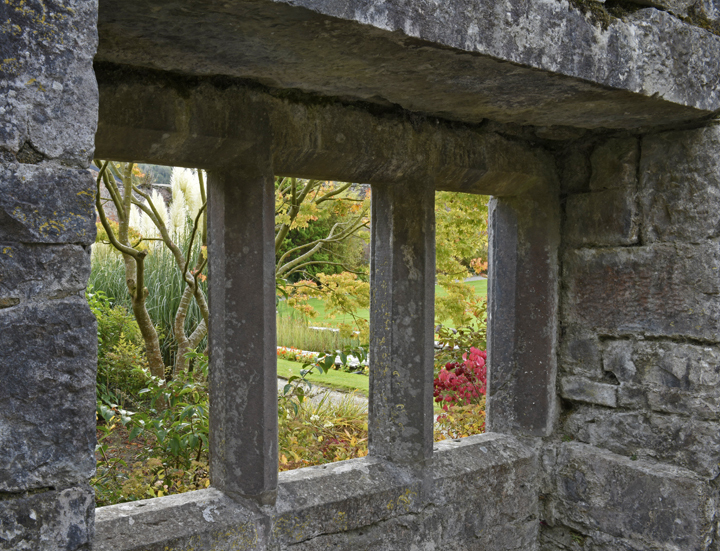 A stone-framed open window, with burnished hues worthy of a painting. Ahead of me was the most beautiful array of pinks, oranges, purples and greens – an autumnal aroma, a nip in the air, and the sound of flowing water. I walked over the bridge, continued a few paces and looked back, and then carefully set up the tripod to capture this scene below. A very secret space to seduce your senses. 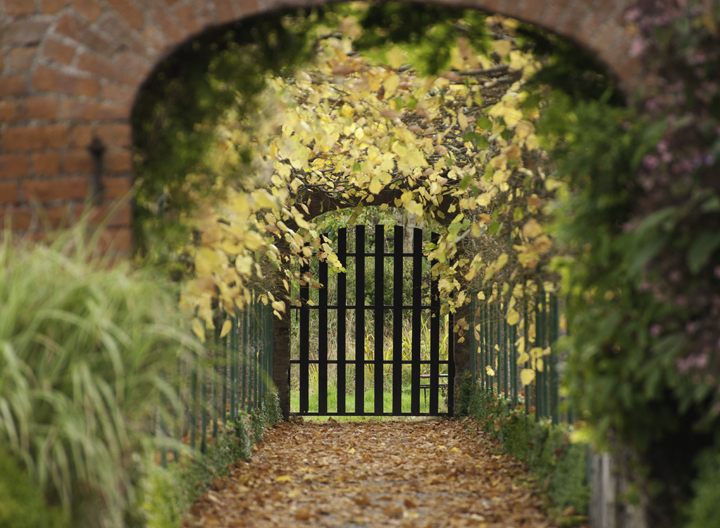 The Walled Gardens of Dromoland Castle in all their autumnal splendor. I´m not a gardener myself, but I do love gardens, and as a photographer I take my hat off to anyone who can create a garden like this. I knew that I had to meet the person in charge of these splendid gardens. The vast array flowers all around. Head Gardener Dorothea Madden has managed the gardens for the last 27 years. Her infectious enthusiasm is a rare find – she told me that she feels “totally blessed to work here, there isn´t a better job in the world”. I thought I had the best job, as a photographer of luxury hotels, but I kept quiet whilst we wallowed in our mutual admiration of these walled gardens. Dorothea is also the perfect guide; she has escorted many guests including rose-loving former First Lady, Mrs Laura Bush. Dorothea explained that the gardens were built in or around 1740, originally designed in an Italian Renaissance style – as seen in the long rectangular water pool. In the early 20th century, the red brick walled gardens were redesigned, the high walls providing shelter and absorbing the summer heat, allowing all kinds of flowers to flourish. 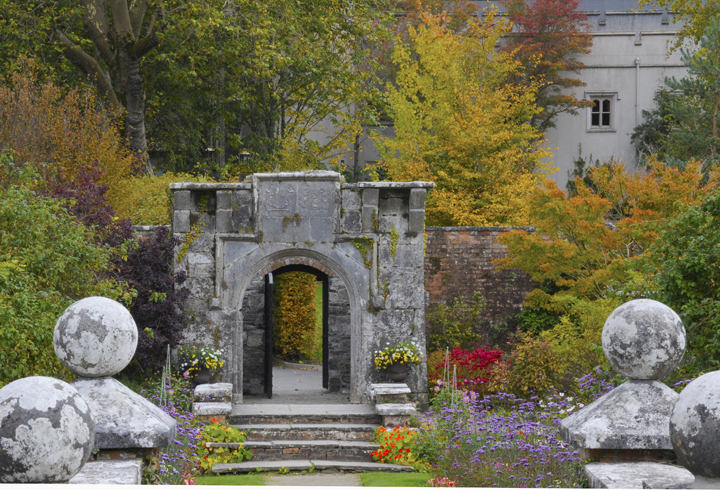 The porch that mesmerized me also has an interesting history – Dorothea explained that the 17th century gateway was removed from Lemanagh Castle on the instruction of Lucius William 0´Brien, 15th Baron of Inchiquin, specifically to be re-erected at Dromoland Castle. “Lucius married Lady Ethel Jane Forster, he named a rose after her, and the rose is still grown here today 100 years later,” says Dorothea smiling proudly. In 1913 a sundial designed by the same Baron was installed; it resembles a stack of books standing magnificently on a carpet of lush green Irish lawn. Greenhouses have something special about them and the Dromoland Garden has a sunken greenhouse with decorated pipes. So very vintage, so magical. You can see bee “boles” (wall cavities to house bee “skeps”, or baskets) that pre-date modern beehives, an original Head Gardener’s house which is now part of the staff quarters, a lovers’ seat to contemplate the gardens. In fact there are three adjoining walled gardens, connected by archways: the first formal garden, with lawns, sculptures and water features; the second, which houses the bee holes and the lovers’ seat, the vegetable gardens, the Victorian greenhouse, the potting shed and the stone-built former Head Gardener’s home. The third garden has an orchard which has fallen into disuse over the years. Dorothea read economics and sociology at university, before later studying horticulture, and is very keen to support those with learning disabilities. I watched from afar as she took a group of children around the gardens, and you could see in their faces the joy inspired by contact with nature, and how they appreciated her kindness. 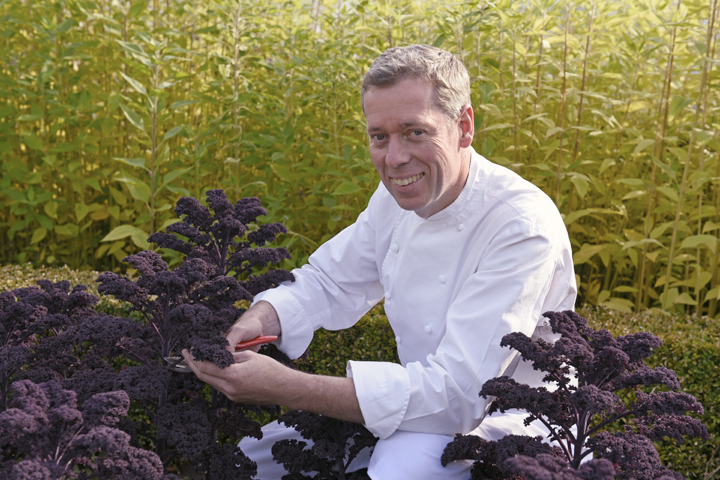 As we chatted, the head chef David McCann, who has worked here for nearly as long as Dorothea – 20 years – came in to collect the organic home-grown fennel and kale; he had a sea bass dish in mind for that very evening. A final question for Dorothea: after 30 years in this beautiful garden, what would be your dream for such a very special space? During my stay at the Castle, I took every opportunity to visit the walled gardens I could -even after I checked out of the hotel, I went back for one last peep and one final photograph. Why? Because nature is magical and a garden will look completely different at various times of the day, when the light changes; every day the flowers, the trees, the walls will provide a new surprise. These gardens are not manicured; they have true character and style, I suspect this will not be my last visit, with camera in hand, to the exquisite Walled Gardens of Dromoland Castle. It was a pleasure to welcome you to the Castle and I am delighted that you enjoyed your visit and we look forward to welcoming you back again soon. Thanks so much Fiona, it would be a pleasure to return. Looks lovely! Would be curious to see the rooms! 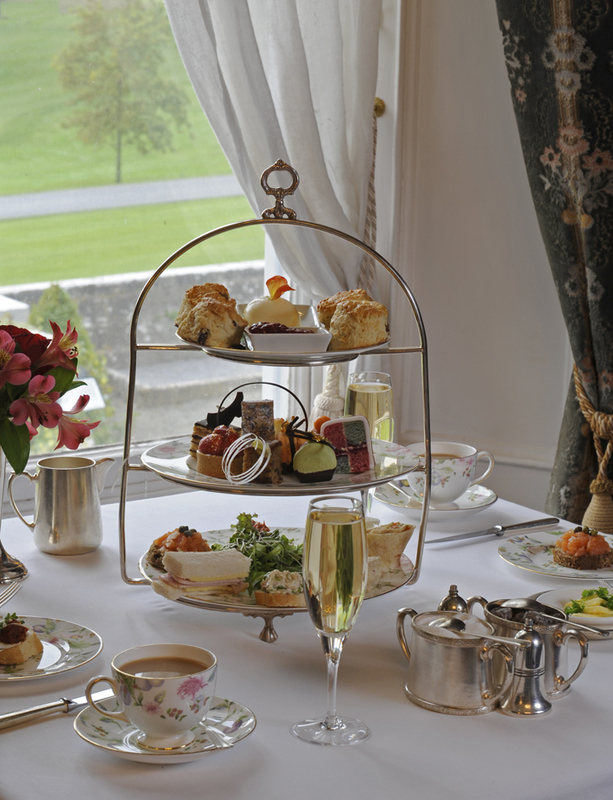 Hi There Ana, thanks so much for your comment, on this visit my focus was on the gardens, you can see room photos here http://www.dromoland.ie/accommodation.html. Very comfortable. What a magical place! Just beautiful. I’d love to spend a few days there exploring the house and gardens and learning more about its history. Thanks for your comment Annie, this really is an outstanding heritage hotel and you would love it. Excellent blog post and even better photographs! Well done. Look at those soft photos… They talk for themselves about a romantic past, a volatile light, an ethereal atmosphere. They are pictures of the memory as if it has been lived had vanished with the air. Even like the defensive walls had been diluted in an embrace between everything and nothing. Michelle has frozen a moment in the life of this hotel with the meticulousness of pictorial pointillism. His art transcends the message. In the expression arising from your camera better shut up and not try to explain anything with less than 1,000 words. Fernando, you are so kind with your words, thank you for passing by my blog and I hope you get to visit Dromoland Castle Gardens one day to experience the scene for yourself. Kudos for your years of fine hotel reviews and presentations. I am part Irish and wished that I had been able to spend more time exploring Ireland. 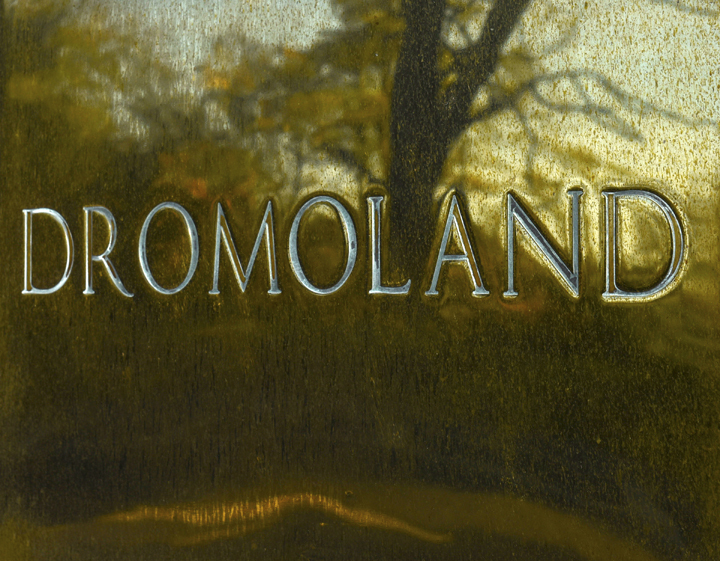 Dromoland conjures up ancient scripts, spirits of warriors, romantics and poets. Dennie, I really hope that one day you can travel to this property, it´s a rare find. The gardens are indeed one of the finest examples of walled gardens in the world, these same walls protect the foliage, so you have all kinds of exotic plants flourishing, things that you would never see in Southern Ireland without the this protection. They also have a sculpture garden a Victorian sunken greenhouse,its all there waiting for you. 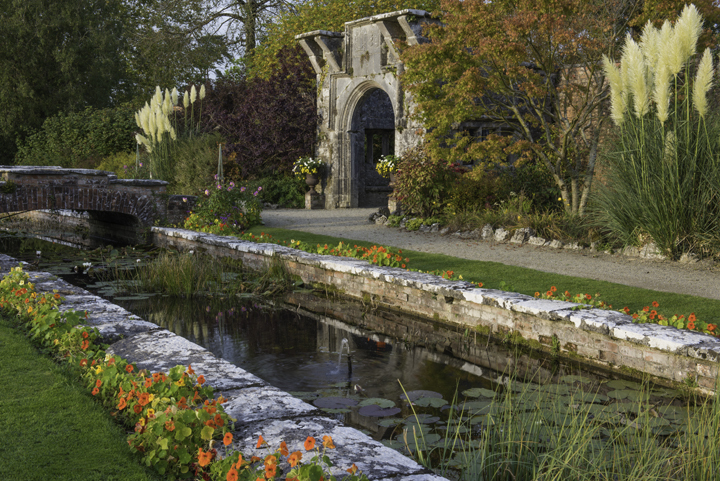 Stunning photos of a truly magical and historic castle and its lovely gardens. Historic home of the great O’ Brien family. This place is a joy to visit at anytime of the year. Great pubs locally for the beer, music and craic. An adventure well worth the effort. Many thanks for the comment Alex, it was you that introduced me to Southern Ireland in the first place and it´s always a joy to return. 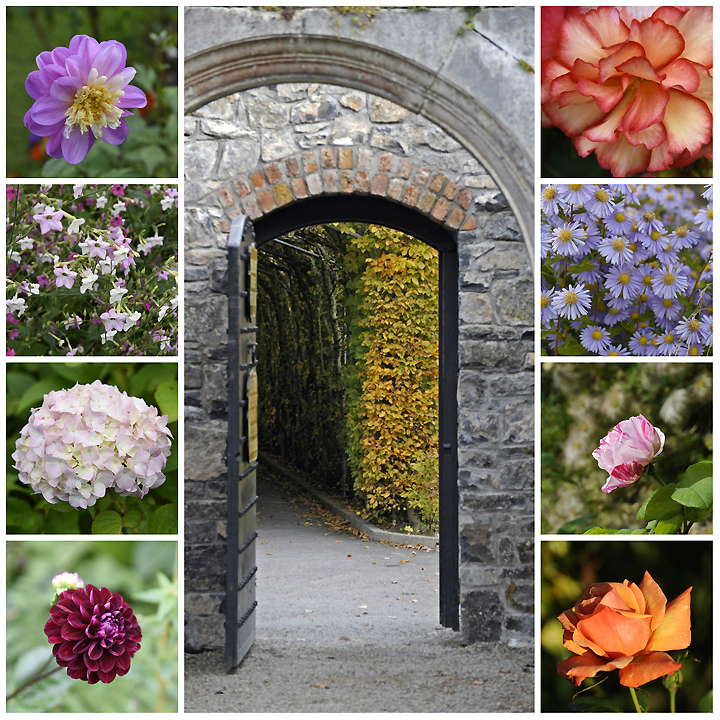 You are so right Lottie, The walled gardens of Dromoland Castle, are just magical. Many thanks for your comments, I´m also with you on the staff, it´s the human element of a hotel, that really makes your stay. And on that note, I´can´t wait to return.